Ballinasloe Strings Festival is a two day celebration of music and song held in the 1849 former Mercy Convent Chapel, now known as The Church Gallery. The festival will take place on Friday 13th and Saturday 14th of July 2018. The finalised programme is available here.  The Ballinasloe Strings Festival is part-funded by the Clár Éire Ildánach / Creative Ireland Programme 2017-2022. There’s something for every taste – our confirmed artists, along with their social media links and a taster of what we might expect from their performances is on the artists page. Tickets are available now through EventBrite! Click here to be taken to the Eventbrite page. Tickets are also available at the Ballinasloe Library desk. All events are free but all attendees will need tickets. Our artists page and schedule have been updated for the 2018 edition of our festival! Click on the links above to learn more about this years acts. Tickets will go on sale shortly, on this Sunday, 1st July 2018. Our website has officially launched! Check back soon for further updates. The line-up for this year is now complete. You can also follow us on social media for more instant notifications; check the social media links hovering on the left or in the bottom right.